Millennium 7 Publishing Co.: What You Learn From An Applicant's Social Media? 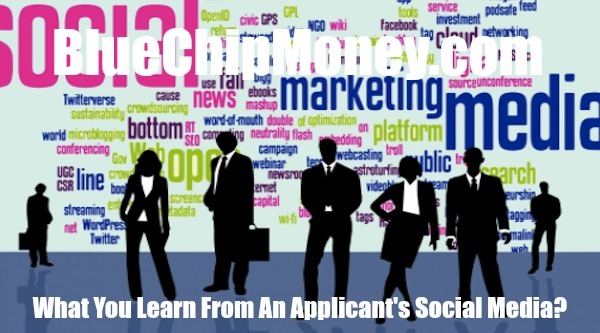 What You Learn From An Applicant's Social Media? Six things you can learn from a candidate's social media..
As a recruiter, you know that war for talent is fierce. You also know the cost of a bad hire to your clients. Luckily in today's social media landscape, you have numerous tools at your fingertips that can help you paint a more overall picture of a candidate. Although you might think their LinkedIn is standard procedure, what about their personal social media? According to career coach Hallie Crawford on career site Glassdoor, social media can help recruiters and hiring managers to get a more accurate idea of a potential candidate outside of their resume and a personal view into their lives. "A resume can tell them your qualifications, but your social media profile can help them determine your personality type and if you would be a good fit for company culture," she says in advising candidates. Hiring managers you can spot a lot of potential red flags when deciding to hire someone — risqué photos, bad language, signs of drugs use — by doing a deep dive into their social media. Here is a list of what to look for a where to find it. About Me - This is a good way to check if a candidate's description of themselves matches their cover letter and resume. If there are major discrepancies you want to be careful of a candidate who can present themselves in two different ways. In addition, pay attention to spelling and grammar to see how seriously they take those skills. Photos - Checking a candidates photo albums and its descriptions could help you determine how professionally they present themselves. Profanity, sexual references and drug references may be red flags to look out for. Followers - Check how many mutual connections you have, are they following others in the industry. This will be a great way to see what network and resources they bring to the table and are they truly interested in the job they are applying for by following industry leaders. Tweets - Does the candidate share information on their trade, job or industry or is a timeline of trolling. This could give you an insight into how they spend their free time. Followers - By seeing how a candidate interacts with their followers on Instagram could give you an insight into their personal relationships and if they would be a good cultural fit for the company. Photos - This is a good way to see how a candidate represents themselves, what they find important and do they share anything inappropriate. Guest Authored By HR Academy. HR Academy from Human Resources Magazine: High-level HR strategy training workshops led by the world's most respected HR thought leaders and strategists. Follow HR Mag on Twitter. "As a recruiter, you know that war for talent is fierce. You also know the cost of a bad hire to your clients. Luckily in today's social media landscape, you have numerous tools at your fingertips that can help you paint a more overall picture of a candidate.."